Electromyography (EMG) is a diagnostic procedure to assess the health of muscles and the nerve cells that control them (motor neurons). During a needle EMG, a needle electrode inserted directly into a muscle records the electrical activity in that muscle. 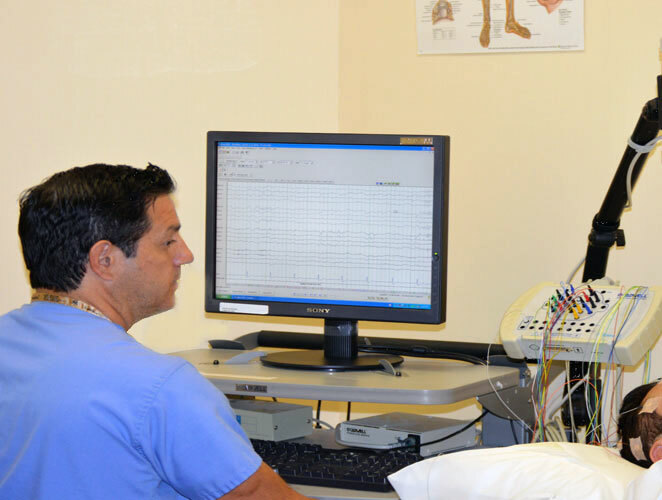 EMG results can reveal nerve dysfunction, muscle dysfunction or problems with nerve-to-muscle signal transmission. 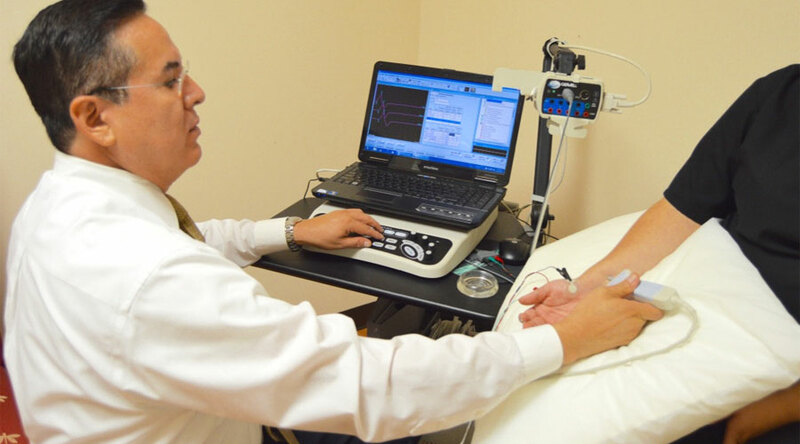 Nerve conduction study, performed as part of an EMG, uses electrodes attached to the skin to measure the speed and strength of signals transmitting through the nerves. An electroencephalogram (EEG) is a test that detects electrical activity in the brain using small, flat metal discs (electrodes) attached to the scalp. This activity is recorded as wavy lines on an EEG recording. EEG is used for diagnosis of epilepsy. An EEG may also play a role in diagnosing other brain disorders such as dementia etc. 1. Visual evoked response (VER) test. 2. Brainstem auditory evoked response (BAER) test. 3. Somatosensory evoked response (SSER) test.